The rest of the metro is within reach at Escalades East Tower. 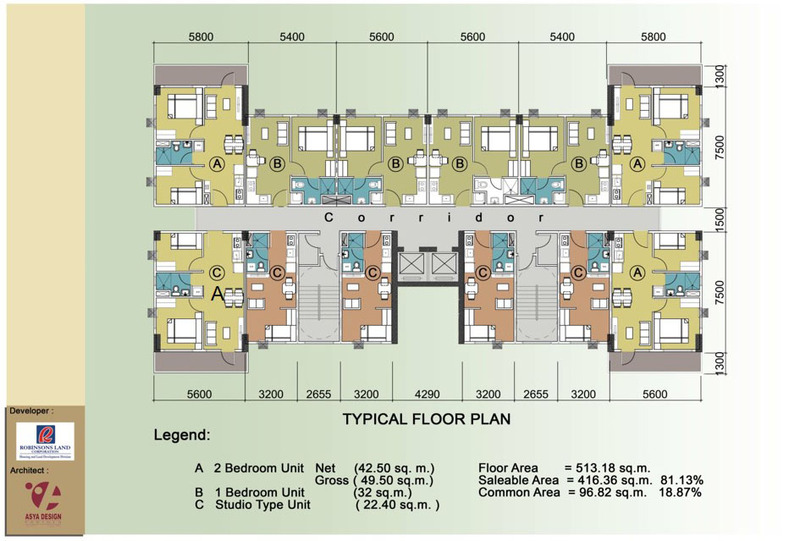 This 14-storey residential condominium development by Robinsons Communities offers the ultimate convenience because of its location. 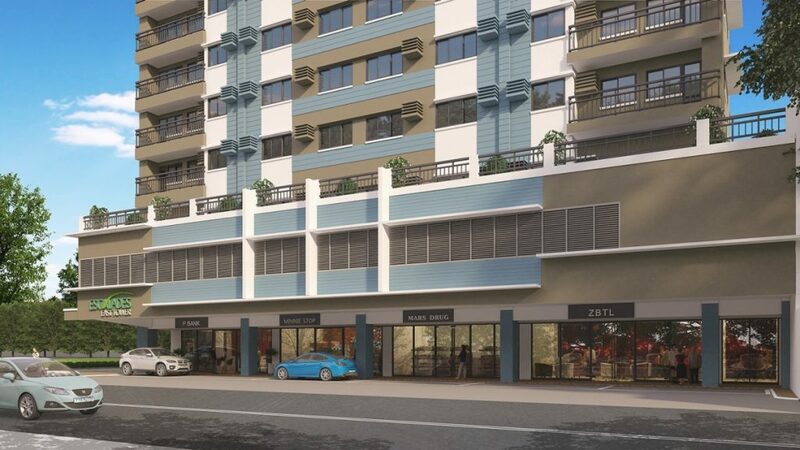 This project is situated at the very heart of Cubao, Quezon City, where flourishing commercial centers and major transportation systems are nearby. 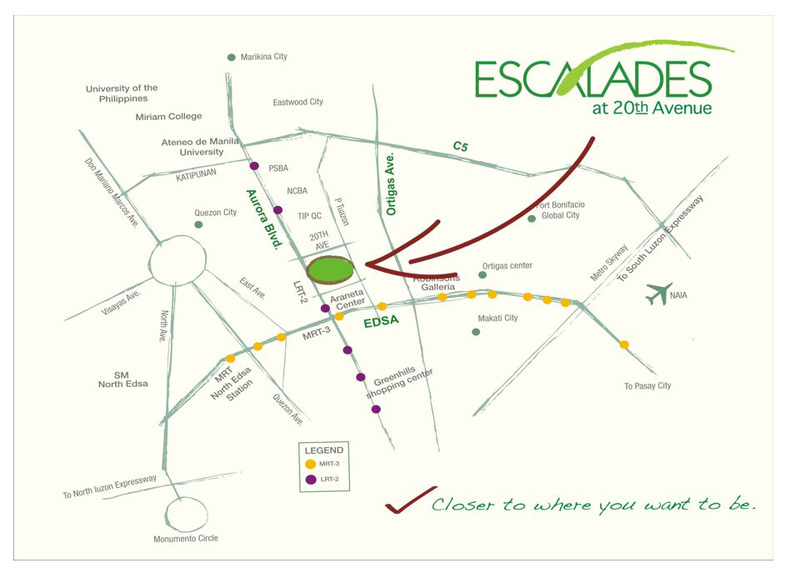 Residents of Escalades East Tower can easily travel to any part of the metro for work or play as the development is just a few steps away from the LRT train systems. 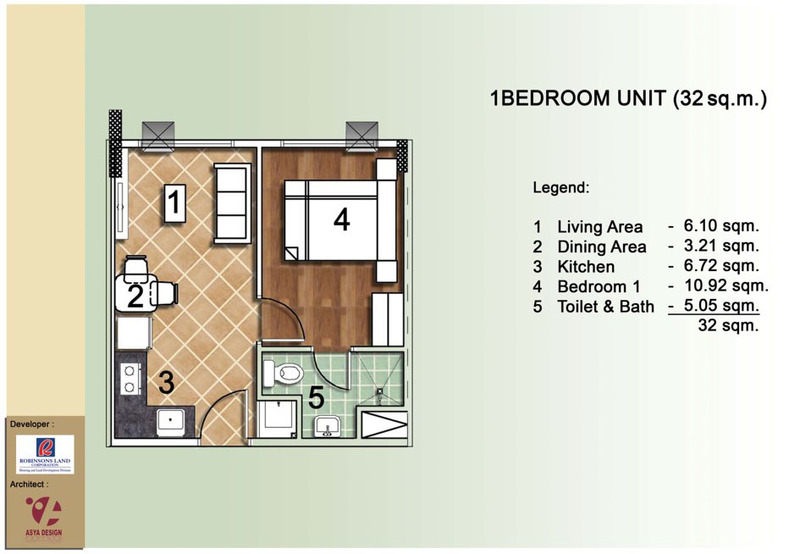 Reach Makati, Ortigas, or Bonifacio Global City CBDs within minutes without the usual traffic gridlock. At the end of every busy day, escape from the hustle and bustle of the city in the comforts and amenities of your very own urban sanctuary. Live a mobile lifestyle without worrying about travel time or traffic because Escalades East Tower is just near the LRT train systems. Whether you want to travel north or down south, mobility is both affordable and quick. 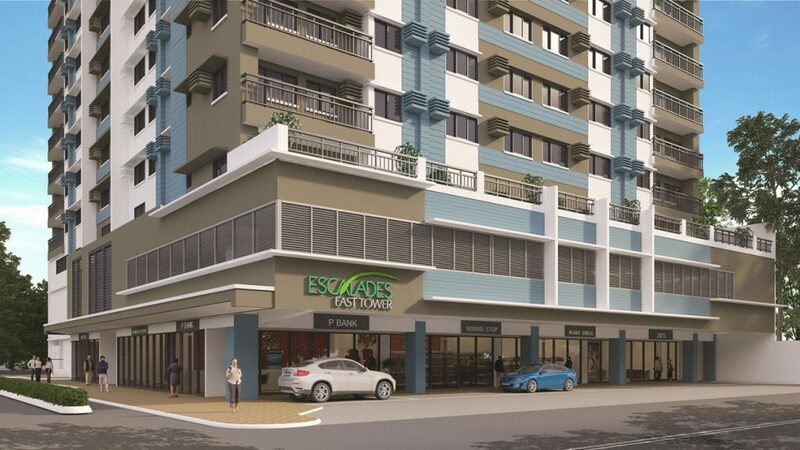 This new Robinsons Communities condominium project is situated along 20th Avenue in Cubao, Quezon City where it is in close proximity to Aurora Blvd. Not only that, it is also just a stone’s throw from surrounding shopping centers, schools, and recreational facilities. Enjoy the good life and start creating precious memories with friends and loved ones in Escalades East Tower’s recreational amenities. You can also shop to your heart’s content or stock up on daily essentials via the commercial and retail establishments located at the ground floor. Transform your living spaces to suit your needs at Escalades East Tower. 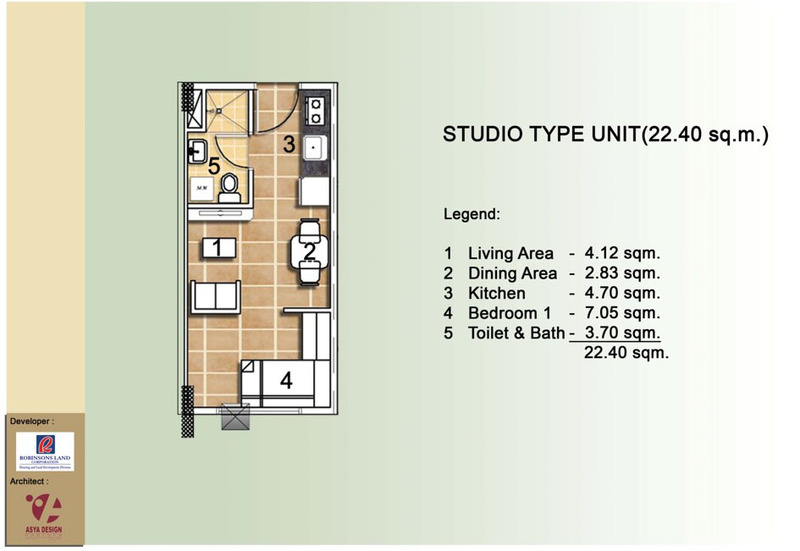 Choose from studio (approximately 24.00 sqm), one-bedroom (approximately 32 .00sqm), and two-bedroom (approximately 49.50 sqm) units and enjoy the freedom to customize your unit space. Escalades East Tower redefines smart living and energy-efficient building features. The maximized use of natural light and ventilation for corridors and the atrium allows cheaper utility expenses and makes it a perfect home option for environmentally-conscious home buyers. 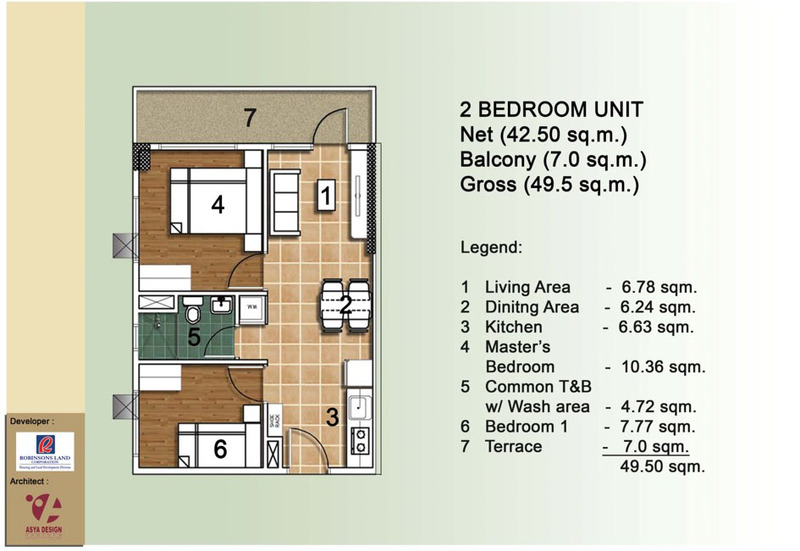 Buyers can choose from 3 unit types depending on their needs and preferences. Escalades East Tower offers standard finished studio (21.70 to 33.70 sqm), one-bedroom (38.60 sqm), and two-bedroom (48.90 sqm) units.